I have been all about reading books off my Kindle backlist lately. I’ve spent a lot of time sifting through all my downloads deciding which ones to read and which ones to delete forever. Here are reviews for some of the books I chose to read off that list. Why oh why did I wait so long to read The Trouble with Love? This book has been on my Kindle FOREVER — probably as long as I have been a Lauren Layne fan. I’m so happy I finally stopped being stupid and read it. The Trouble with Love is now one of my favorite all time second change romance books. Emma and Cassidy’s story was everything I could have wanted it to be. They had such a cool, mysterious past. I loved how the story unraveled and how they rebuilt their relationship. This is my favorite book in the series. I love Tijan’s books, but I admit I have been putting off reading Anti-Stepbrother because of the title. I should have read the blurb more closely. This wasn’t a step-brother romance like I feared it was. There was a stepbrother in the book, but Caden was not him. Summer and Caden’s relationship was a fun one. It started out with a friendship that turned to more. It wasn’t quite as dramatic as some of Tijan’s other books, and the romance between Summer and Caden was surprisingly sweet. I’m so happy I finally read this one! I loved Anti-Stepbrother! One of the things I love about Cookie O’Gorman’s books is that they’re all different. This one had more of a mystery than her first two books. That mystery kept me guessing. I totally wasn’t expecting it to end how it did. I really liked all of the characters in this book. I was especially fond of Delilah’s family. The only thing I wanted more of from this book was actually more about Delilah’s family history. It’s talked about a lot by secondary characters, but I would have liked to have gotten the real story from Delilah or her family members. Overall, this was a fun YA read. This entry was posted in Contemporary Romance, Fiction, Mystery, New Adult, Romance, Young Adult by anovelglimpse. Bookmark the permalink. 2 five stars and 1 four?! That’s awesome!!! I love that you’re going through your kindle books and reading them. I have the same plan going on. Congrats and good luck on reading more! Thanks! Good luck on your Kindle read through! Looks like you had some good books hanging out on your Kindle! I definitely need to read that Lauren Layne book! I’ve read a few books in the cross-over series, but none in that series yet. I did! I think you would really like LL’s book. That whole series is so fun! I still have one of the books to read. I enjoyed Anti-Stepbrother! It was an entertaining read! I loved Cookie O’Gorman’s Adorkable, and Ninja Girl. 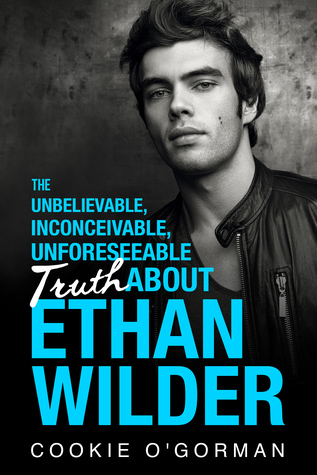 I haven’t read Ethan Wilder yet but it’s on my TBR list. I’m glad to hear that you loved it. I bet you will enjoy Ethan Wilder if you liked Cookie’s other books. It was more mysterious, but fun. The Trouble with Love was my first read from that series!! Apparently I’m a backwards girl. But yeah, it’s my second fave after Riley’s book… Glad you had such a great run of backlist books! I don’t know if I’ve read Riley’s book! That might be the one still on my backlist. LOL.